The cells were a big, repetive task, as one would imagine. They were all 3×4 and there were 15 cells along one wall. 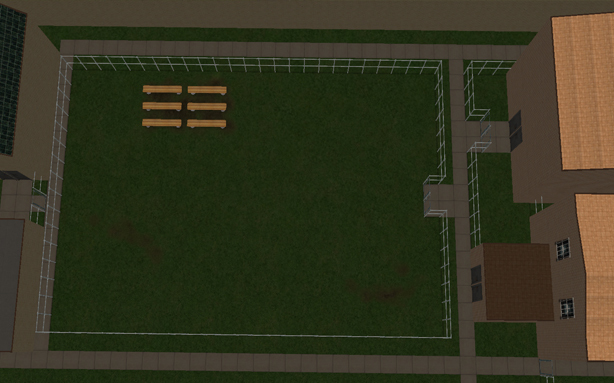 That meant 30 cells on each of the 3 floors = 90 cells. 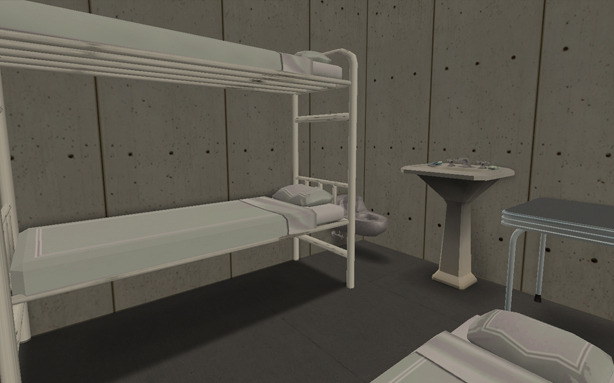 Each cell had a bed bunk which meant there was a minimum of 2 prisoners in each cell = 180 prisoners. 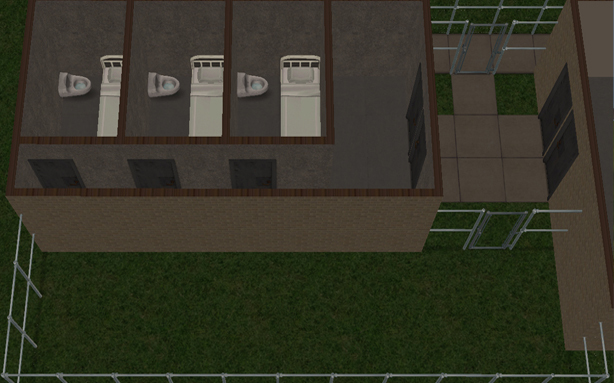 And there were half a dozen mattresses in overcrowded cells = capacity for many, many sims. But alas, I cheated. 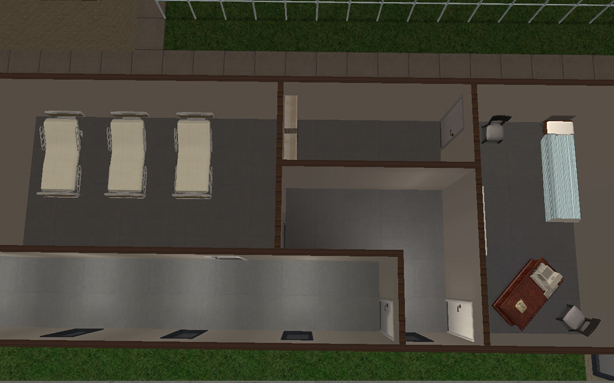 I only furnished the first floor. 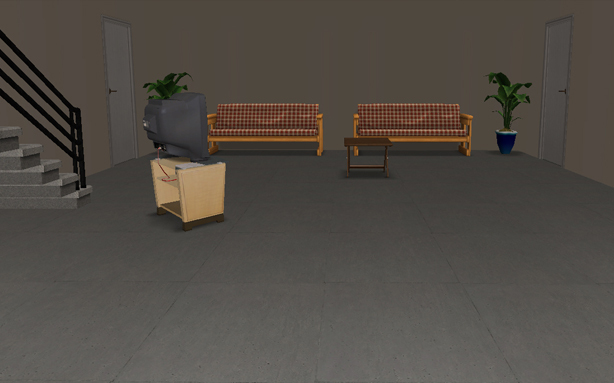 The cells were made for the above floors, but no way was I going to continue placing the rest of the furniture which would only continue to lag my already laggy game. 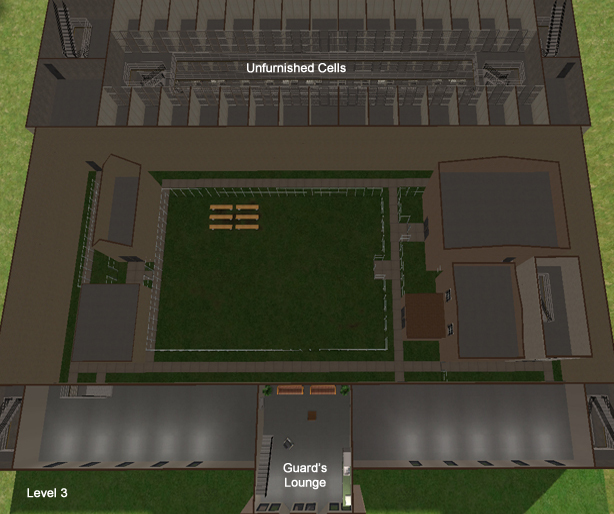 Aside from that, I loved my cells, although they were partly decorative. This is because none of the toilets are actually usable because the sink is in the way. But that was okay for my purposes. 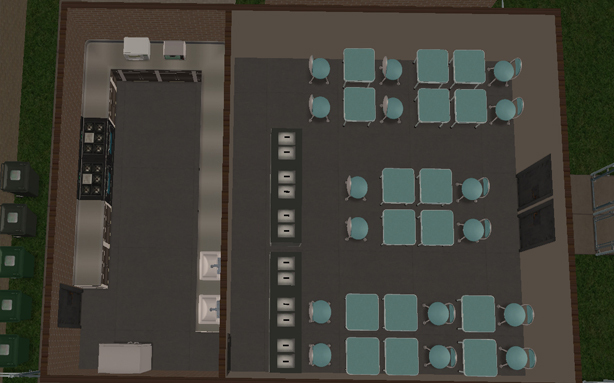 I had sim-actors, not sim prisoners 😉 The tables weren’t accessable to cells that had floor mattresses either. It was just something you had to work around. 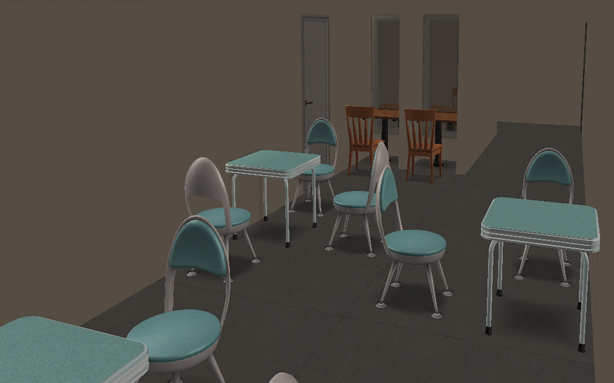 If you were to look at this in a real-world kind of view, a person would be able to squeeze past the sink to use the loo, and a person could stand or sit on a mattress to access the table, so I was happy to use them decoratively. Trying to film sims sitting on bunks (and particularly top bunks) was a whole other kettle of fish and is something I’ll be glad to break from! With a sinking realization, I was determined to have my showers adjacent to my cells, but alas, the space just wasn’t there. I managed it, but there are only 12 showers. 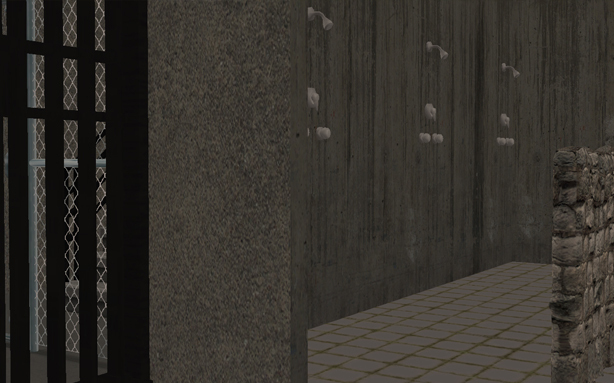 These are invisible recolours of the maxis shower, so they still required 2 spaces for the opening of an invisible door to make them look like communal showers. I believe they have a no-shoo mod, though I haven’t tested them yet. Guess there will be many long line ups for the showers? 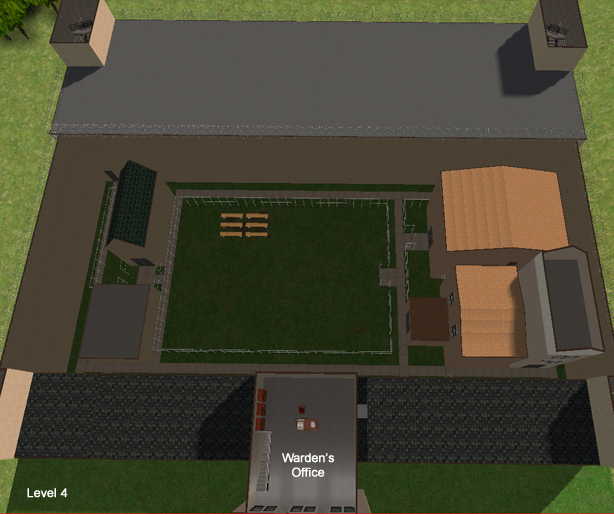 When inmates aren’t in their cells, they can usually be found in the yard. Although they are given recreational time in which they can go to a rec room and watch TV, or go to a small classroom learning environment. 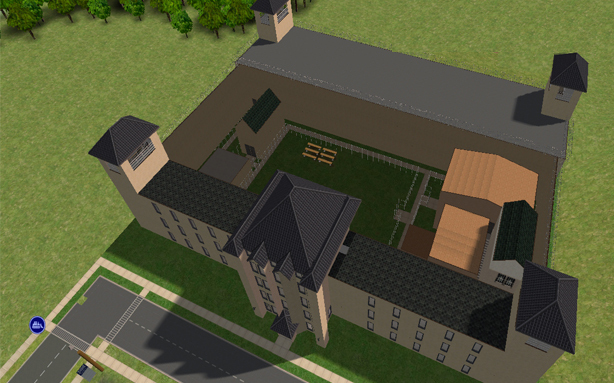 This is where Nick gives his talks with allowance from the prison counsellor and guards. Beside this is the kitchen and dining hall. 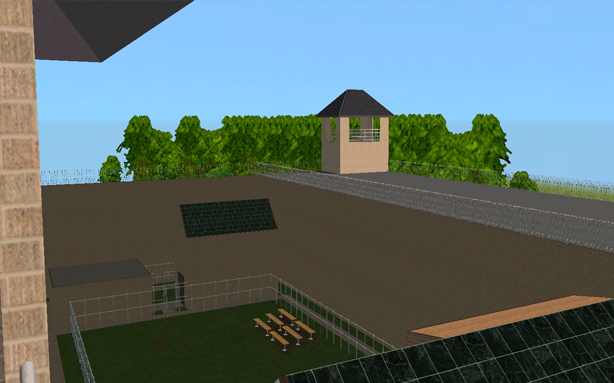 The kitchen has a back door entry to allow working inmates to go in and cook up the food and easily transfer it to the cafeteria. 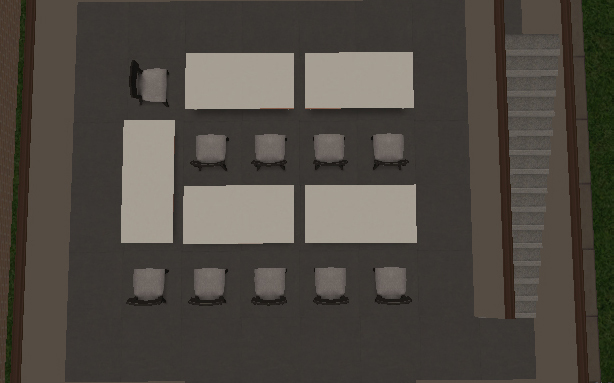 Unfortunately by this point I was running out of room, and I certainly couldn’t fit the amount of chairs and tables that would satisfy my bed capacity. 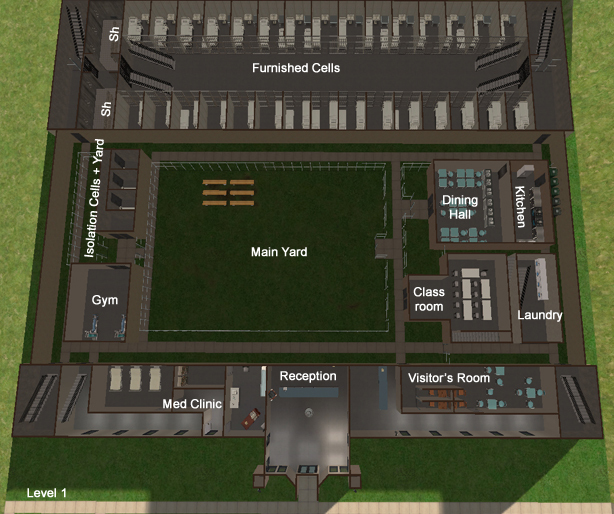 And if a sim were to get food poisioning, or fake illnesses or life threatening illnesses, or punches or just want to flirt with the nurse, there is a tiny medical clinic right at the front of the prison. 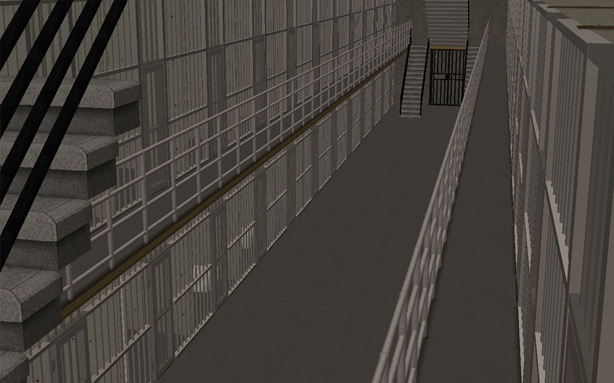 I was again running out of space for this, and determined not to have inmates looking out through the windows onto the road, so 2 halls were created which lessened the space considerably. 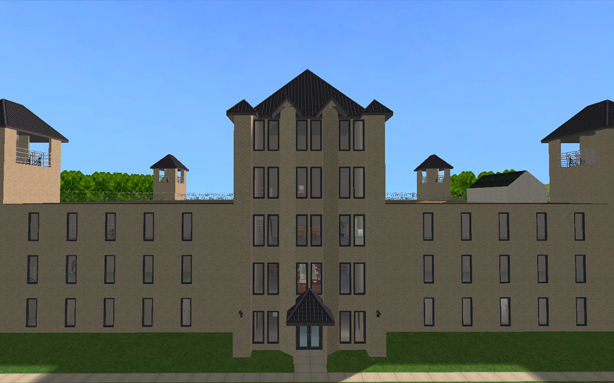 And besides that, they still had to walk past the hall with the windows to get to the rooms, but what more could I do? It wasn’t largely important. 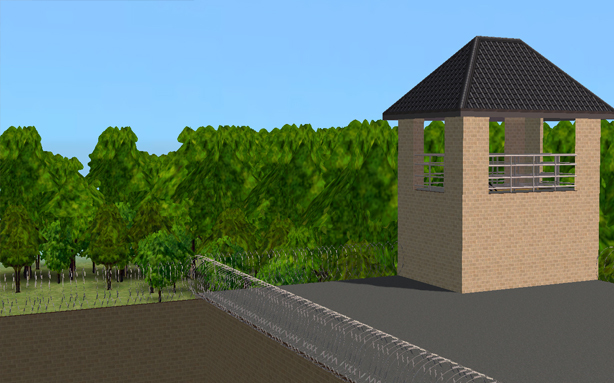 Also at the front of the prison was the visitor’s area. 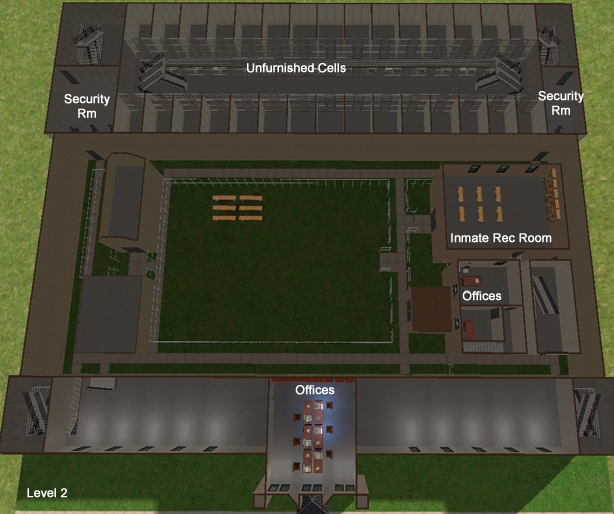 This had the space for group meetings and isolated visits where the prisoner wasn’t to have contact with the visitor. See that I was running out of space yet?